Need an adjustment or repair? 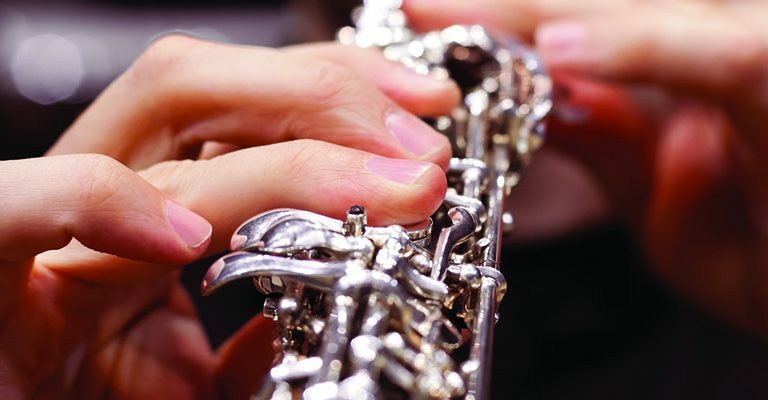 Consider our English horn and oboe d’amore repair services. At MMI, we know how important it is to quickly complete an English horn repair. Our expert technicians will ensure that your instrument is in perfect working condition, so you can get back to the practice room as soon as possible. We’re also happy to help with general maintenance and provide a recommendation on what’s best for your instrument. If you have any questions, feel free to contact us below! English horns have a lengthy regulation sequence to ensure that each pad seals fully and when it is supposed to. It can be daunting to consider adjusting your oboe and English horn at home. That’s why we’re here for you. No question is too small or insignificant. Feel free to call when something doesn’t seem right, and we will work together to find a way to best support your needs. This option allows our technicians to complete a solid servicing of your oboe. We disassemble the instrument fully, clean hinge rods and tubes, clean and replace necessary tenon corks, remove and treat octave vents, oil the bore, replace necessary key silencers and up to 4 pads, reseat pads as needed, regulate, and play test the instrument. Expect this process to take 2-4 days once repairs begin. Key polishing is an additional labor cost. As an English horn player, you may find that your instrument has cracked. You certainly are not alone! This has happened to many players, professional and amateur alike. Do note that proper break-in of a new instrument can greatly lower your chances of cracking your instrument. When a crack does occur, your English horn must be seen in the shop. We will assess the length and severity of the crack, noting if it passes through any tone holes, tenons, or post holes. Proper stabilization should be undertaken. While crack pinning can be an investment, it certainly is a necessary procedure to bring your oboe back into playing condition. Crack repairs often take 3-6 days to repair, as we must humidify and ensure stability of the crack area over a period of time. Please do not modify a crack before sending it to us. It will void any warranty we can offer on our crack repairs. We are happy to take on overhauls, tenon replacements and key fabrication on a case-by-case basis. We will advise you on whether or not we believe the investment is a sound idea, giving you ample information to help the decision making process. While some older instruments can maintain a beautiful playing quality, there are times when an instrument will not hold its value even after investing thousands of dollars in repair costs. Please call us with any questions concerning repairs not listed above. Looking for More English Horn Services? MMI provides an array of services for all kinds of musicians — whether you’re just beginning to spend time in the practice room or performing on stage. Looking for new or used English horns? Or maybe you’re interested in English horn repair services or consigning? No matter your needs, our team can find the right solution for you.